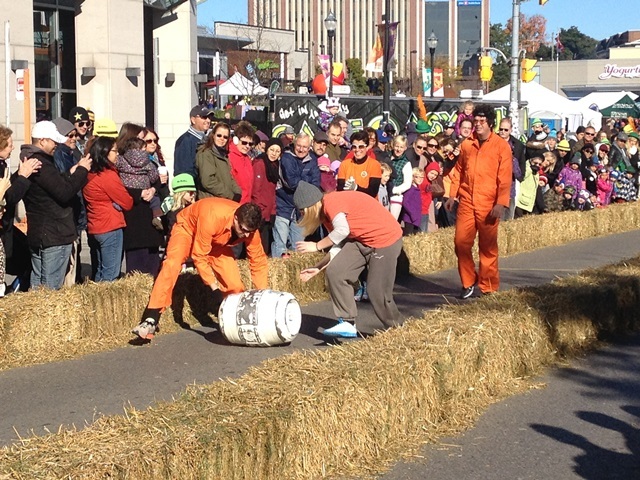 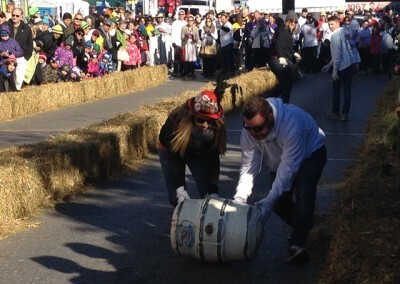 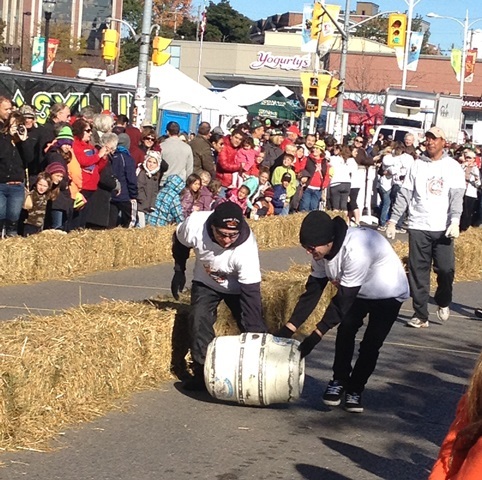 Roll out the barrel! 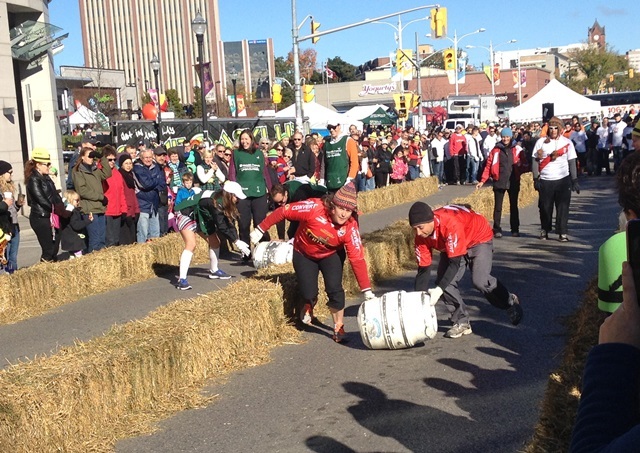 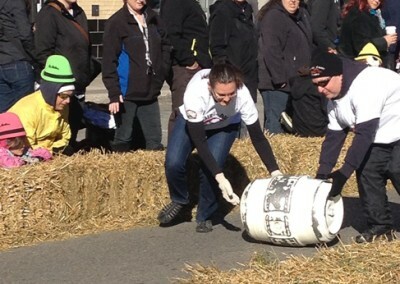 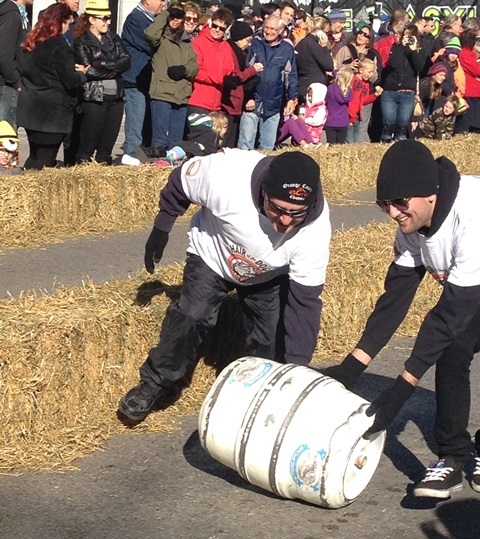 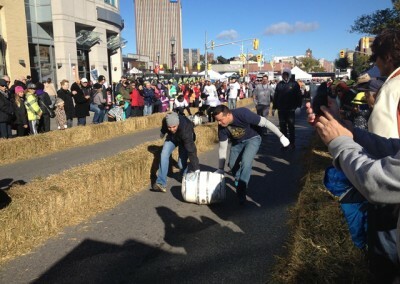 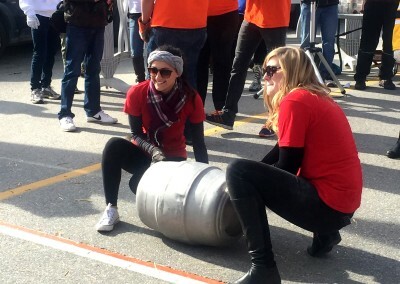 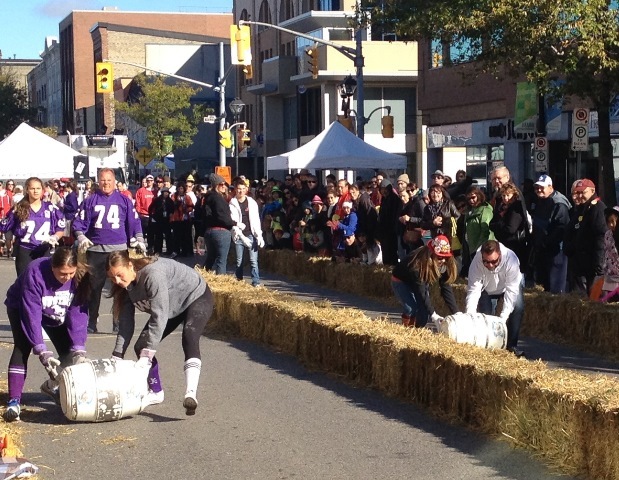 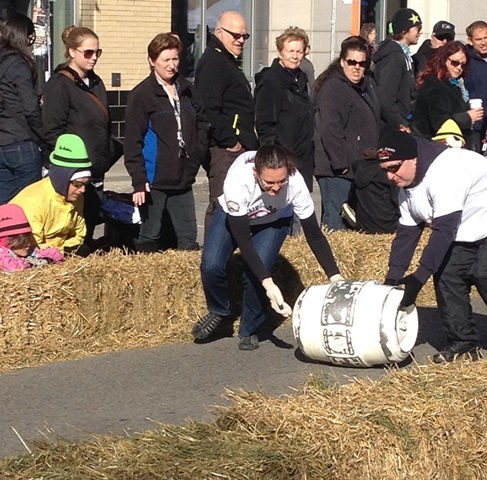 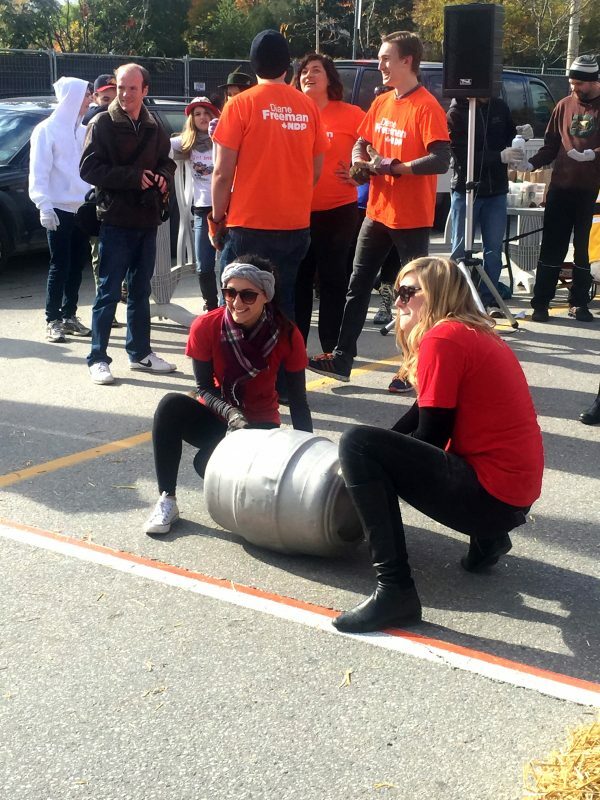 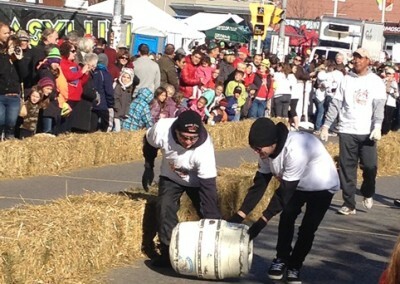 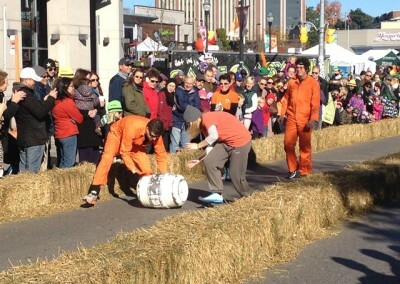 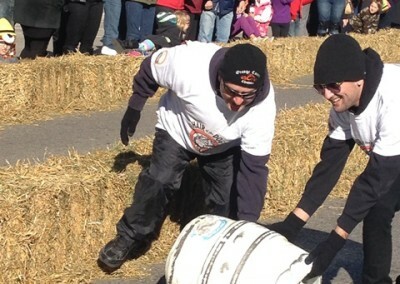 Participate in or just watch our annual relay style keg race featuring teams of four racing for the best time, to win awesome prize packages from the event’s generous sponsors. 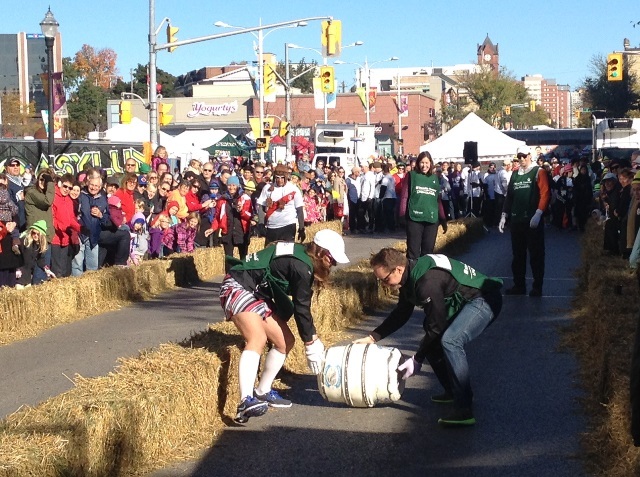 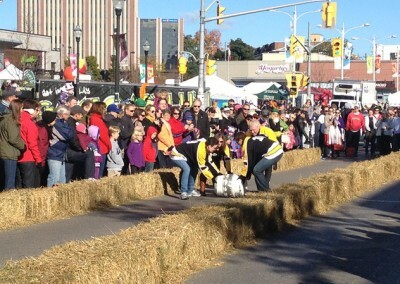 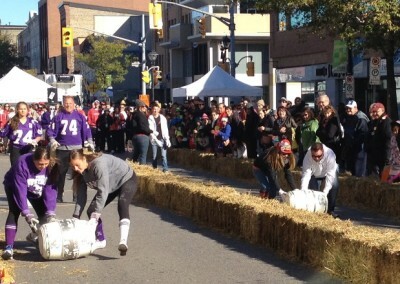 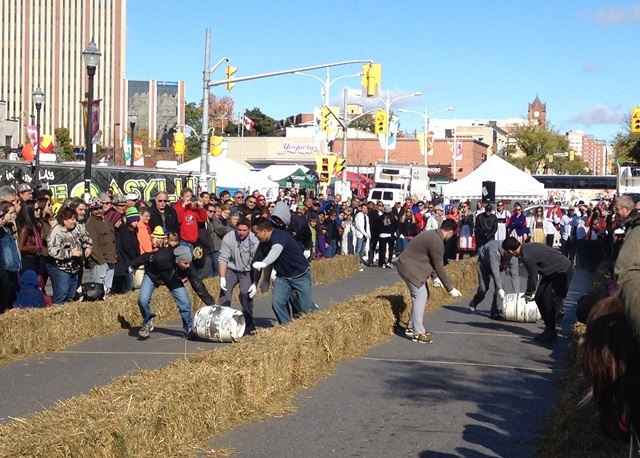 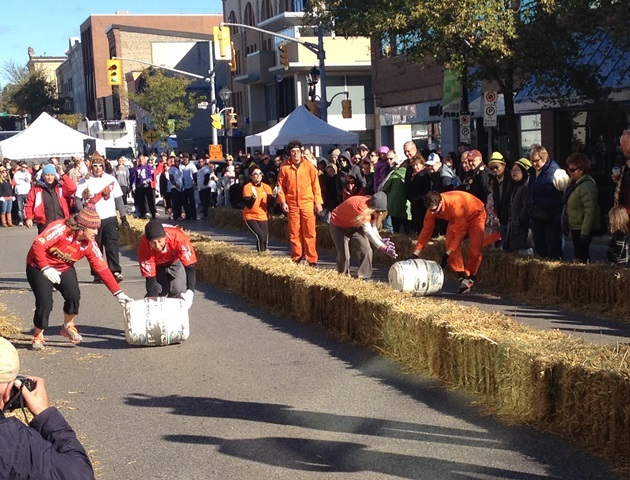 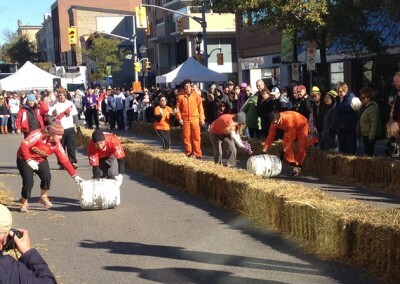 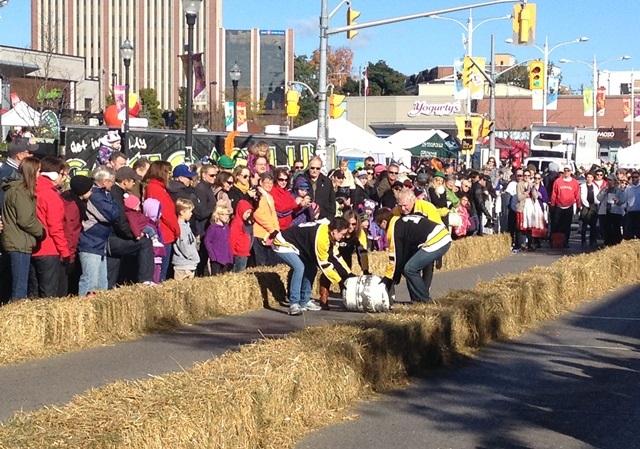 Children can have fun too, with wheel barrow races. 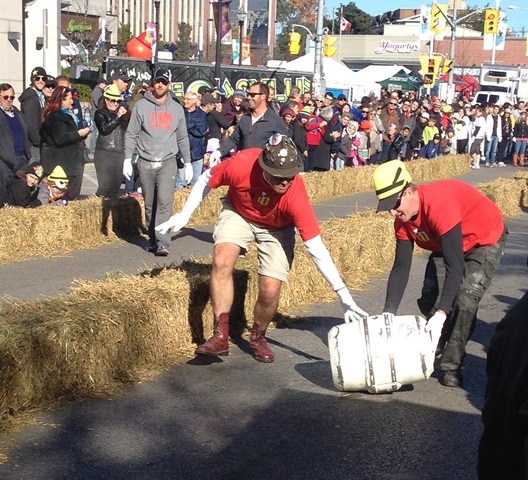 Proceeds of the race go to Habitat for Humanity. 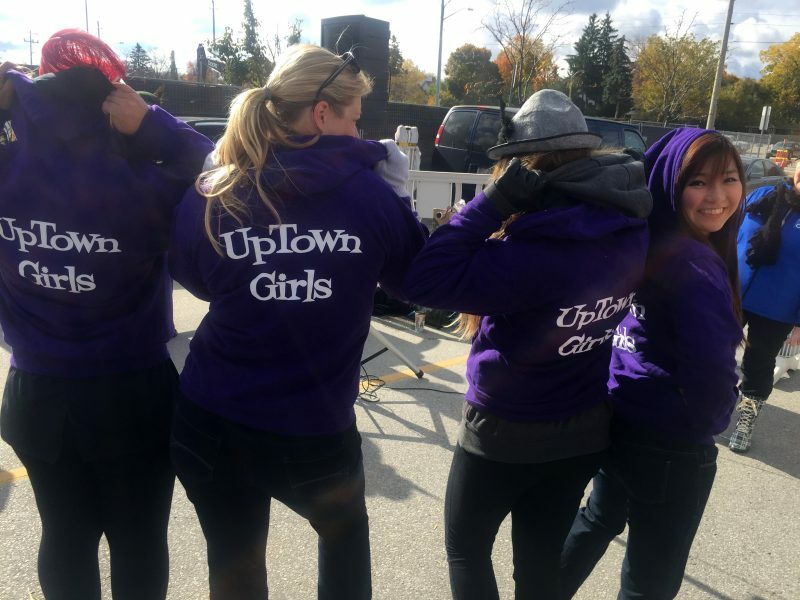 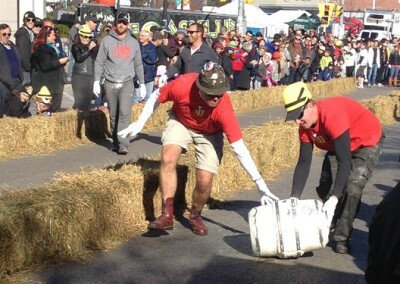 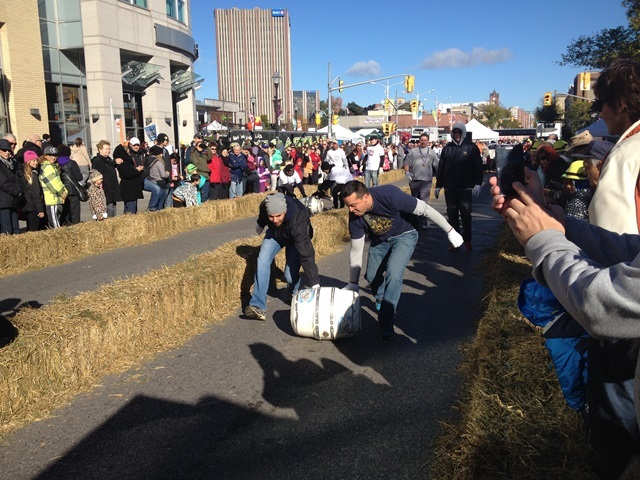 Thank you to all racers, volunteers, attendees, emcee Brian Bourke and our wonderful sponsors for helping make the 40th annual Great Oktoberfest Barrel Race a huge success! 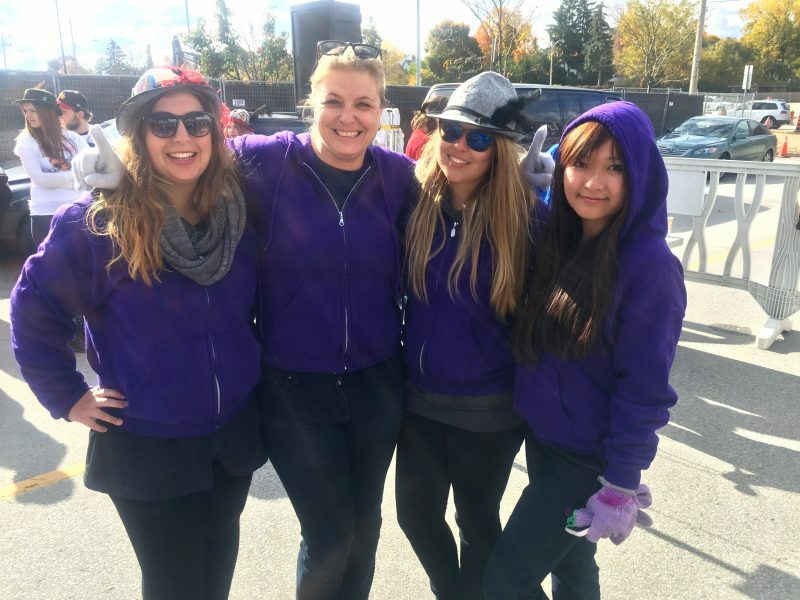 We raised over $500 for Habitat for Humanity! 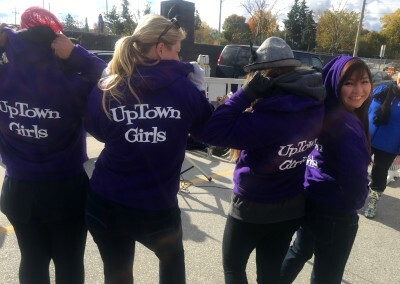 Check back on this page soon for photos from the event!